Skin health goes beyond topicals and starts within. Lower your blood sugar levels while reducing wrinkles! In part one, we examined how high blood sugar levels affect our cortisol and collagen production. In today’s we will go into greater detail about glycation and ways to battle the effect sugar has on our skin. Blood sugar support can be found in our herbal supplement, Sugar Check. Learn how Sugar Check can balance blood sugar levels while addressing fine lines and wrinkles! 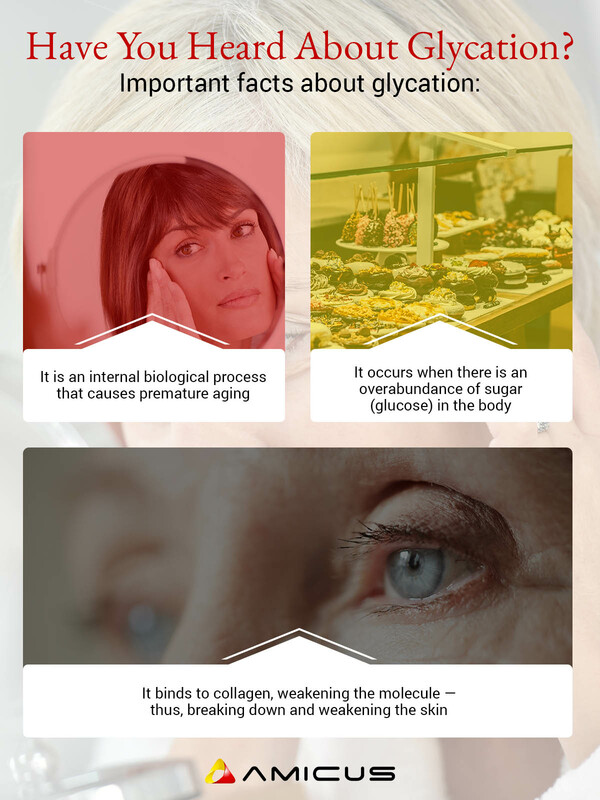 Knowing and understanding glycation is huge in knowing how it affects our skin health. With each meal we consume of starchy carbs and sugar, our blood glucose levels rise. And when this happens repeatedly in each meal, our insulin becomes less and less effective until we become insulin-resistant. How Do You Combat The Effects of Sugar? The best way to reduce the impacts of sugar on aging is to reduce or stop eating it! And while we will never be able to completely cut it out, which is good because our bodies are fueled by it, it is more about learning how to eat it in moderation or forgoing it in most meals. Even if you think you are eating a low-sugar diet, you may be shocked at how much you are actually getting. Yogurt – Plain, unflavored yogurt has nine grams of sugar in a serving, not terrible, right? The question is, do people ever really eat plain yogurt? Most likely not! Flavored yogurts, including those with the fruit, contain anywhere from seven to 24 grams of sugar per serving, making it an unhealthy choice. Sauces, dressings, and dry spice mixes – Food items such as your favorite spaghetti sauce, salad dressing, and taco mix most likely all contain sugar — you have to look far and wide for those without it. There are so many nutrients that support your skin and the glycation effects that sugar produces. Vitamin C – This vitamin supports collagen production giving your skin more strength and structure. Because vitamin C is water-soluble, you will need to get it every day for its wrinkle-fighting properties. Find it is citrus foods, dark, verdant greens, and peppers. You can also supplement with it — look for a food-based vitamin C, they are more bioavailable. Alpha Lipoic Acid (ALA) – ALA provides the body with anti-glycation effects and helps modulate inflammation in the body — use it both internally and topically in creams. ALA is fat-soluble, so increases its absorbability by taking it with a healthy fat (coconut, avocado, olive oil, salmon, etc). 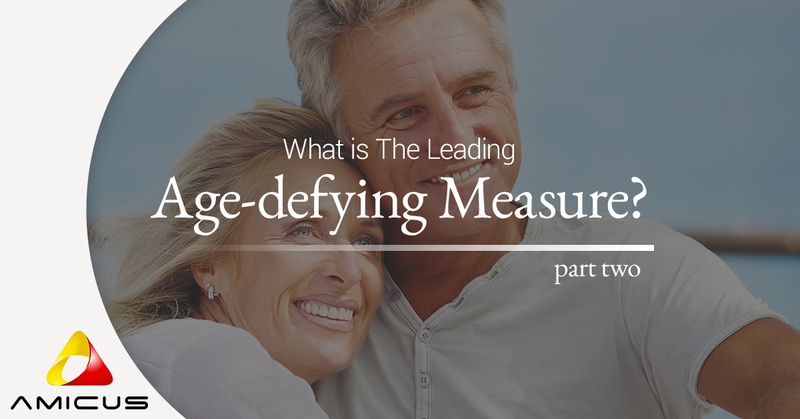 The best age-defying protocol? Limiting your sugar! When you work to eliminate sugar from your diet you support your internal system by lowering your cortisol levels and prevent glycation. If you have looked in the mirror lately and you’ve noticed new lines, a dull color, and a saggy jowl line, perhaps you should look at what you are eating! Sugar Check by Amicus is the perfect way to support healthy blood sugar levels to better support your skin! Shop Sugar Check today!